The brainchild of orthodontist and social entrepreneur Dr Mani Pavitra, Million Moms aims to empower mothers to become the best versions of themselves. Over the past decade, Dr Mani Pavitra — an orthodontist, childbirth educator, serial entrepreneur, Lamaze instructor and a yoga and woga (water yoga) trainer says that she has seen an immense change in the way the burden of running a family and raising kids while juggling a job has all shifted on to mothers. “Their deteriorating health is often shifted under the carpet and neglected till some blood report shows up, causing deep resentment and regret. The mother is like a root for the family. 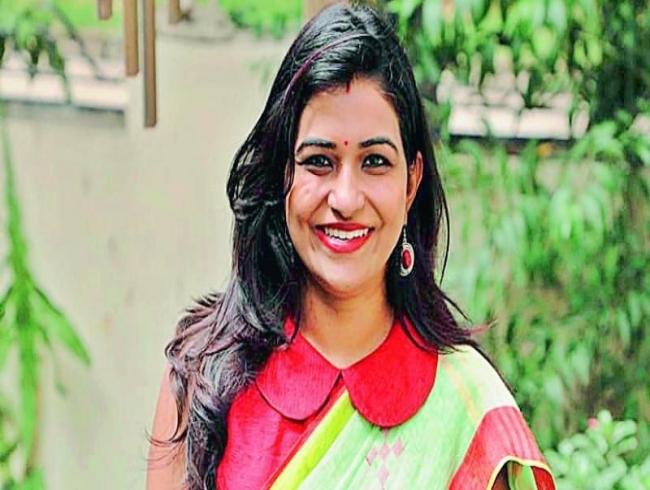 Yet, some of the moms don’t even convey their discomfort and just continue working,” says Dr Pavitra, whose Million Moms, an initiative of Poorna Human Excellence Foundation, aims to reach out to one million moms to inspire them to be fit, healthy and happy. Dr Pavitra says she is on a mission to help moms take charge of their health, and is looking to raise a community with a holistic approach so that mothers can have access to knowledge and tools which can in turn empower them to transform their mind, body and soul — all at their own pace and comfort levels. Born and brought up in Hyderabad, Dr Pavitra is an avid reader, who believes every mother must realise her true potential through mind, body and soul enrichment. Her ultimate goal is to reach out to a million mothers in the state. “Mothers need to delegate tasks to family members and spend some time focusing on their health. We have reached more than half a million moms in the past one year or so. We have also trained all the anganwadi workers so that they can guide mothers in rural India,” she shares. Elaborating on her Poorna Human Excellence Foundation, she says that it has been set up to help people discover their highest potential. “I’m a gold medalist in orthodontia, and was an all rounder in school, right from physical activity to education. But the moment I got pregnant, society started treating me differently. They treated me like a patient, asking me to eat and not move, out of pure love. But that’s the way moms are being pampered,” says the mother of two.